Okay, so spring may be taunting us (boo snowflakes), but it won’t be long until it begins to truly unveil itself in Calgary. To get you in the mood, Janelle from Flowers by Janie is back with her “bloom of the week”…the ranunculus. The ranunculus also known as the buttercup is Native to Asia. Ranunculus, in Late Latin, is from ‘Rana’ meaning frog as many of the 600 species are found growing near water like frogs. 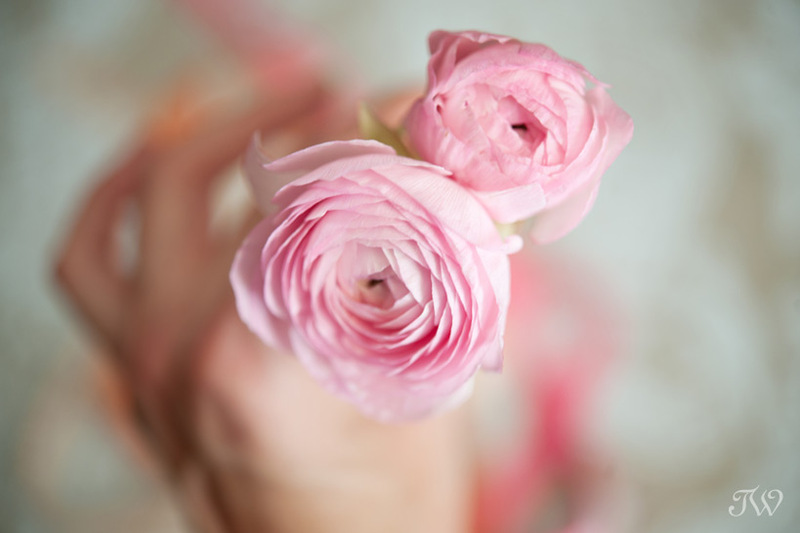 In the language of flowers the Ranunculus means, “ I am dazzled by your charms” or “You are radiant with charms”- a very charming meaning for a bride on her wedding day. The colors range from white to pink, to hot pink, red, orange and yellow. They are available as a cut flower in North America in the late fall through the spring months. The flower’s multi-petal head is elegantly ruffled, delicate and contains a mild scent. Their blooms are usually 1-2 inches in diameter but there are Japanese varieties than can be imported and span some 4-5 inches in diameter. 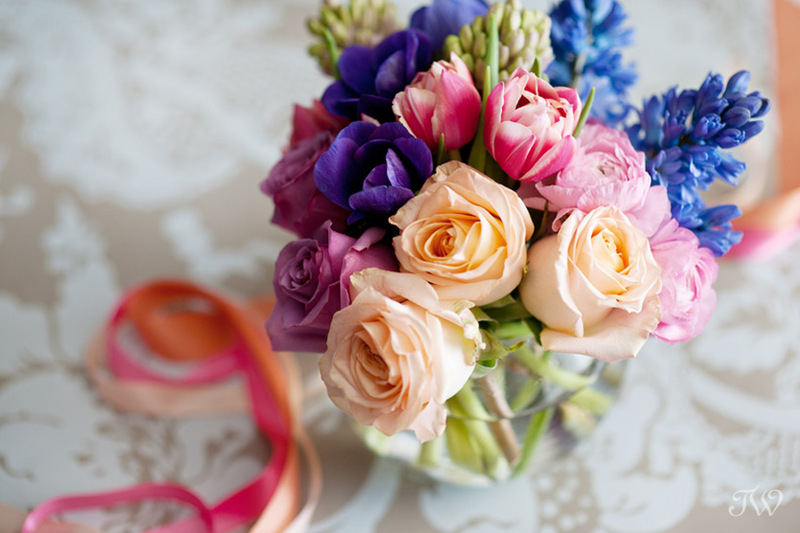 At Flowers by Janie, we love the soft delicate petals that add romance and elegance to our spring wedding bouquets and arrangements. Last week’s bloom was hyacinth, if you’d like to see.